Tough bike lock for your motorcycle security. Giant Seal offers a wide range of bike locks. With years of experience on manufacturing bike lock and their team has been creating and customizing bike lock for just as long. 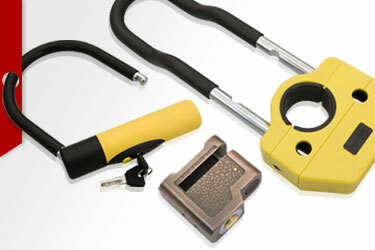 If you are looking for a supplier of highly-refined and advanced bike locks for uses, look no further than Giant Seal. Send your Bike Lock Inquiry to us for any further questions or to get the best competitive price! What's the Best Bike Lock for a Motorcycle?